SOL Illumination is based in the Sutherland Shire (southern Sydney, Australia). 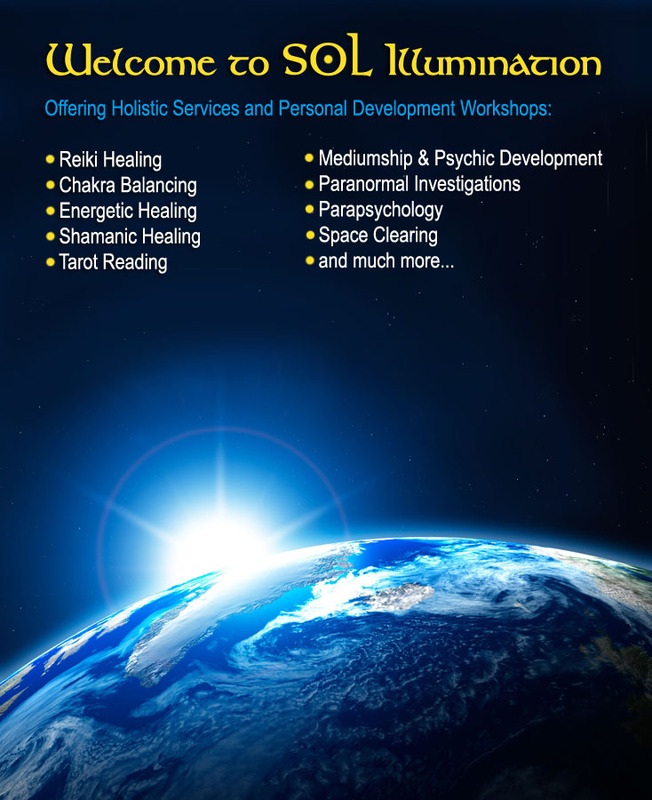 SOL Illumination facilitates small group workshops on topics such as parapsychology, various energetic healing and spiritual modalities, mediumship and psychic development, as well as providing personal consultations in associated holistic services. Private consultations, classes and workshops are conducted mainly in and around the St George – Sutherland Shire – Northern Illawarra areas.